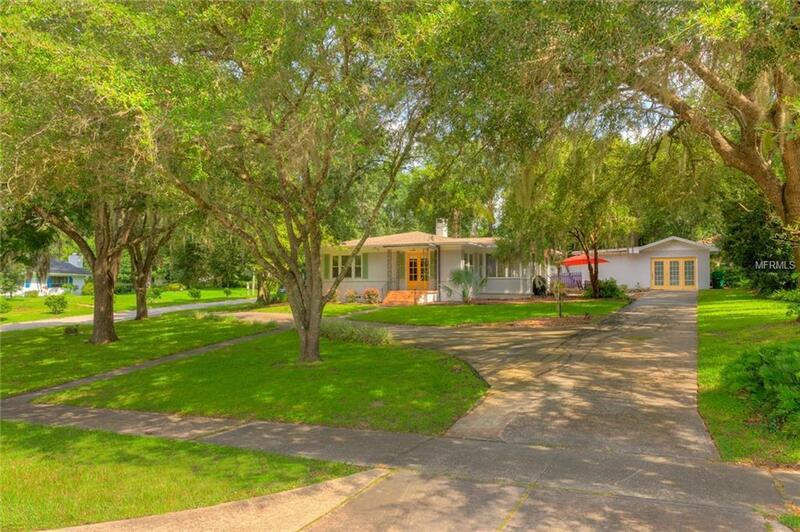 **OWNER MOTIVATED** MID CENTURY VINTAGE and 1948 CHARMER located in Stetson Historical District and a short walk to downtown DeLand! THINK OUTSIDE THE BOX with 3 master suites located in the main house and the 4th located in a detached guest house complete with full bathroom, separate office/kitchen, huge walk-in closet and beautiful rafter ceilings. This is a true treasure passed down from one to another - The bright kitchen offers granite counter tops and large walk-in pantry. Relax and read your book in the sunroom with large windows and French doors. Oak hardwood floors and tile located throughout the home for easy maintenance. Wood burning fireplace, built-in bookcases are just a few of the characteristics of this move-in ready bungalow. Some new features include high efficiency a/c 2015, new windows 2013, new roof 2011, hurricane screens, new fenced in backyard - these are just a few as there are too many details to mention. This one wont last long so dont delay in coming to see!